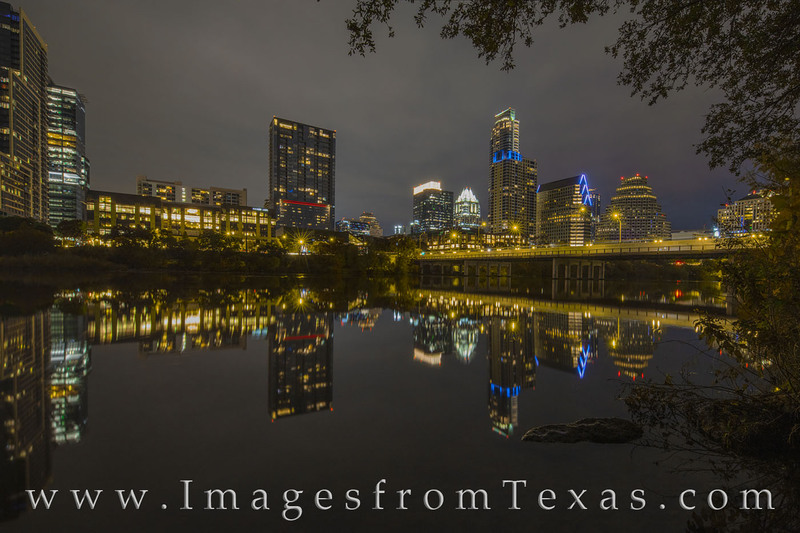 On a very calm, cold November evening, the reflections of the Austin, Texas, highrises shine in the still water of Ladybird Lake. The Austonian rises highest in this image, and the iconic Frost Tower shines just behind it. Photo © copyright by Rob Greebon.